Waves of velvet adorn this contemporary decorative pillow with intricate thread details in the ground. Over dyed in a stylish shade of delft blue with highlights of emerald, silver and indig. 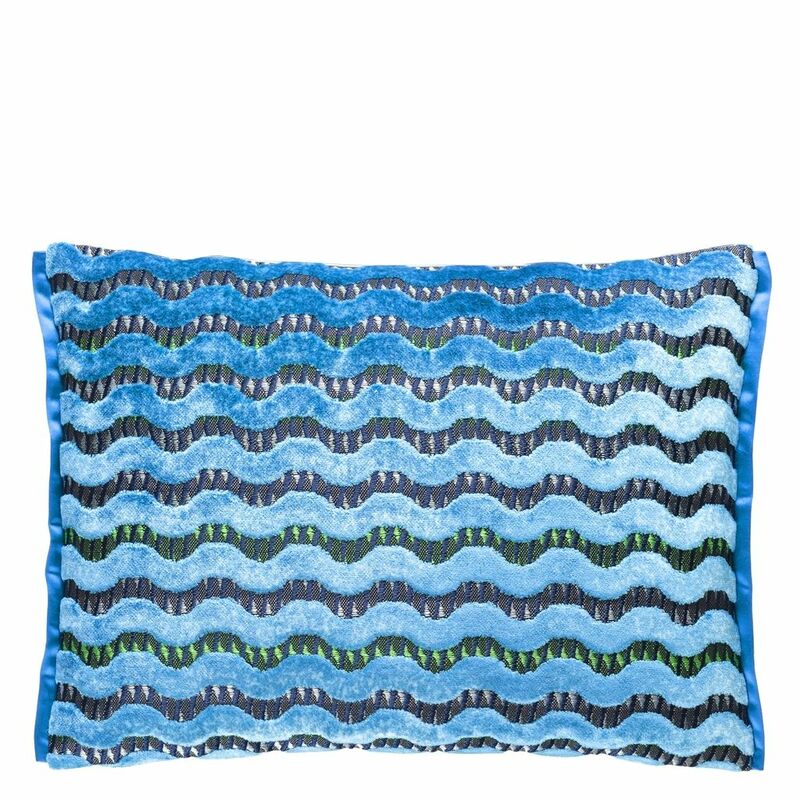 This elegant small rectangular decorative pillow reverses to Designers Guild Tiber satin reverse in aqua and finished with a lagoon trim.